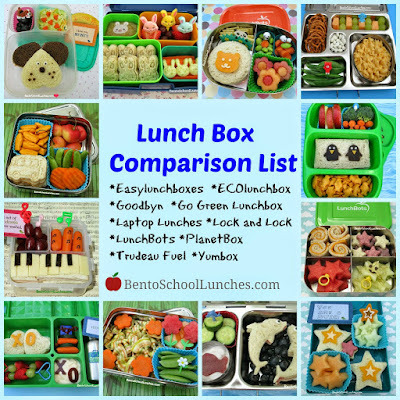 Over the years I have received inquires about which lunchbox I like the most, which ones are leak proof, which ones I would recommend and more. 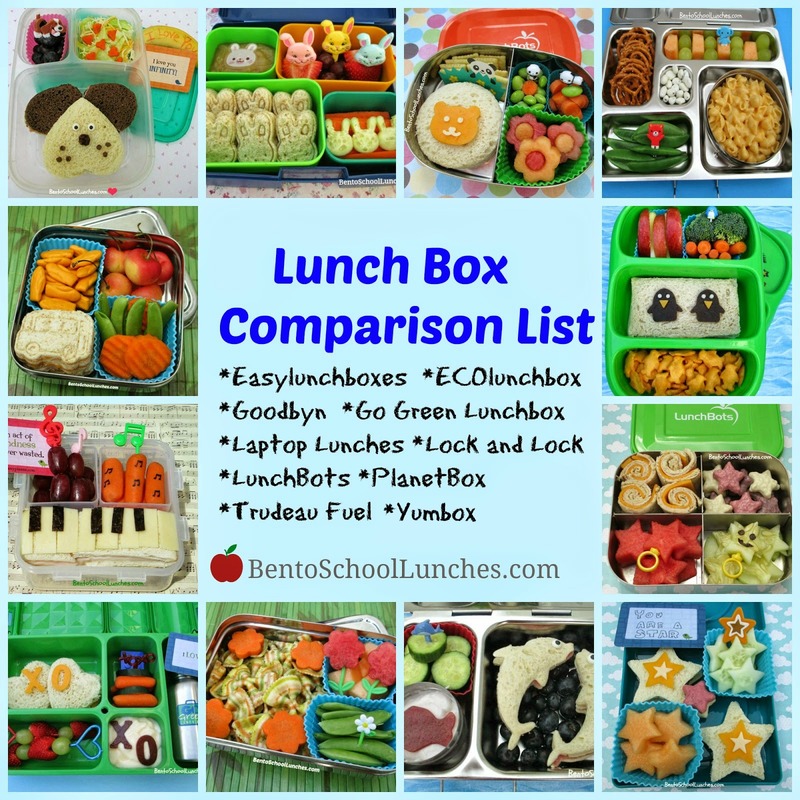 Since I have packed many lunches and alternate among the many lunchboxes in our ever growing collection, I thought it might be helpful to make a list of some of them along with the features that we like and things to consider. As it is more the case that I have no consistent favorite, I usually make my selection from the lunchboxes I have based on what might be best for that particular lunch. Sometimes it is important that the box is leak-proof, other times it isn't important and one which lacks that particular feature might better complement the contents. There are times when the layout of the container is a factor; where the number of sections or their relative size would be more suitable for the lunch I am making. Perhaps, like me, you may end up with a collection of them. To make it easier to view, I have arranged these 'in a nutshell' descriptions here in alphabetical order. This list is based on my own experience over the years of lunch packing. The Easylunchboxes container provide three sections for food which makes packing lunches easy. - In case you are wondering whether these are similar to those disposable ones sold in stores, the answer is NO. The Easylunchboxes are much higher quality, more durable, the lids are not flimsy. - They are quite economical, a set of four for around $14. The sets come in classic and brights colors. The newest are the Urban colors which we love. - The boxes are not leak proof and do function best when carried in this Easylunchboxes insulated lunch bag. **You can see my gallery of lunches packed in Easylunchboxes by clicking HERE. The ECOlunchbox is a stainless steel container and we own both the Solo Cube and Solo Rectangle versions. The Solo Cube measures 5 1/4 inches square, 1 7/8 inches deep, with 600ml capacity and the Solo Rectangle measures 4 3/4 inches wide, 6 3/4 inches long, and 2 inches deep with 850ml capacity. The price range for the Cube and Rectangle is around $16-$20. They also have several different styles of containers, lunch bags and accessories that can be found here. - Stainless steel will not retain stains, odors or residues and will last for a long time with proper care. - Lead free, plastic free, BPA free, phthalate free, non toxic and waste free. - The containers are not leak proof. - Not for use in microwave. **You can see my gallery of lunches packed in ECOlunchboxes by clicking HERE. The Goodbyn Bynto is a 3 compartment lunch container which will keep food separated. The goodbyn bottle fits nicely in the middle compartment and they carry very cute dishwasher safe sticker sets which my son loves (bottle and stickers are sold separately). The dimensions are 10.75 in x 6.75 in x 2.5 in which the largest compartment holds 2.1 cups of food, the middle holds 2 cups, and the smallest holds 1 cup. The price range is $9-14 depending on where you get them. Recently I have seen them being sold at our local Target stores. - Foods are not touching each other with the divided compartments. - The drink section is great especially when we needed to pack a quick snack and drink for the weekend. - Top drawer dishwasher safe. - BPA and phthalate free, FDA approved and 100% recyclable. - The lid needs to be closed properly. The important thing is to press along the perimeter of each of the compartments when closing the lid. **You can see my gallery of lunches packed in the Goodbyn Bynto by clicking HERE. The Go Green lunch box is a generously sized five compartment food container which even comes with a bottle that will hold eight ounces of your preferred drink. In our particular case it didn't get used much since we got it. Make no mistake, we love the box, it is just that Nikolai usually does not eat that much at lunch time. I am expecting to use it much more this coming school year. It is truly leak proof due to their innovative design. Yogurt which I included with Nikolai's lunch stayed properly within it's compartment. Due to it's size, it fits best with the lunch bag that comes with it. The dimensions are 13in x 8in x 3 in and the lunchbox set is currently $39.95 on Amazon. - It's leak-proof. The “turn n lock” knob and soft silicone bands were designed to make it leak-proof and airtight. - The drink bottle fits neatly inside the box and the bottle is stainless steel. - Not recommended for dishwasher. - It's best used with their own lunch bag since it's size is larger than most standard bags. **You can see my gallery of lunches packed in the Go Green Lunch Box by clicking HERE. The Laptop Lunches (name changed to Bentology Living) is quite versatile, and I like that the bento buddies can be arranged in many different ways, using one container or all depending on what you decided to pack. Laptop Lunches come with an outer container and five inner containers; three with lids and two without. 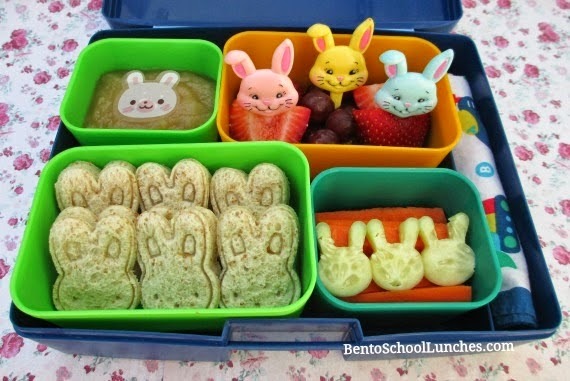 I sometimes like sending applesauce in his Laptop Lunches container since the bento buddies with individual lids are leak-proof. 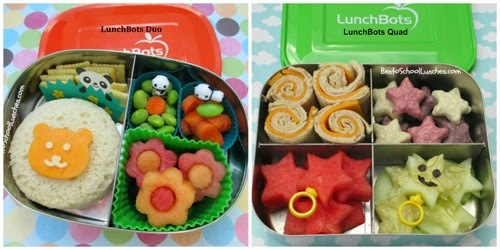 I love the bright colors of the bento buddies which are available in assorted colors which you can mix and match for more flexibility. The outer container measures 9 x 7 x 2.25 inches and the Laptop Lunches bento box is around $24. - Removable inner containers can accommodate a variety of food sizes. 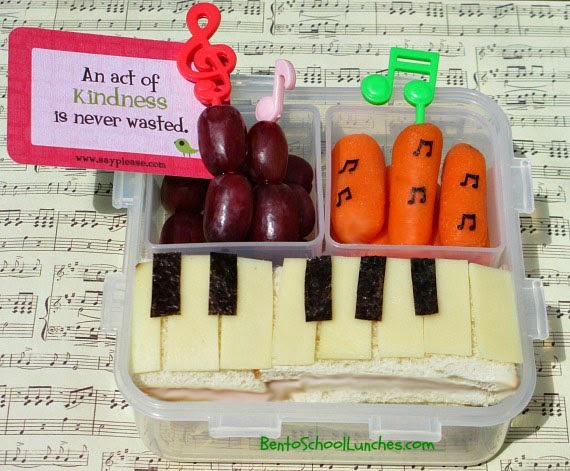 - Tray-like feel makes lunch fun. - The lids seal well to prevent wet foods from leaking onto other foods. - Its convenient size fits in backpacks and most lunchboxes. - The containers are microwave safe (without the lids). - Containers and lids are dishwasher safe--top rack only, no heat boosters. - Option to order additional inner containers of varying sizes. - Additional space for utensils and napkins. - BPA, PVC, and Lead free. - The individual lids for the inner containers may be a little difficult to open by a small child with small hands. **You can see my gallery of lunches packed in Laptop Lunches by clicking HERE. The lock and lock food container has a leak proof locking lid and comes with four inner individual containers. I love the flexibility of using one or all of the inner containers. It has a generous capacity of 870ml and an air-tight seal, but as the inner containers do not seal, liquids or sauces may leak from one inner container to another. The container currently sells for $11.50 on Amazon. - Leak proof and airtight with the four hinge locking system. - Microwave, dishwasher and freezer safe. - The lid may be a little difficult to open/close for younger kids. **You can see my gallery of lunches packed in the Lock and Lock container by clicking HERE. We personally own both the LunchBots Duo and Quad. LunchBots are made of stainless steel, come in various sizes and styles and with lids in cheerful colors. The LunchBots Duo measures 6.25in x 4.5in x 1.75in; capacity:600 ml and the price around $19. The Lunchbots Quad measures 6in x 5in x 1.75in; capacity:600 ml and the price is around $22. We own the LunchBots duo for four years now and it is still in perfect condition, well worth the price. - Divided compartments to keep food separate and not touching. - The lids are easy to remove even for small hands. - They are easy to clean, will not retain stains, odors or residues since it is stainless steel. - Will last for a long time with proper care. **You can see my gallery of lunches packed in LunchBots by clicking HERE. The Planetbox Rover has five compartments and two dippers. It measures 10” x 7.5” x 1.5” and price tag of $60 which includes the carry bag. The PlanetBox Shuttle has two compartments and one dipper. It measures 7.75" x 5" x 2" and the price tag of $40 with the carry bag. Each come with a colorful magnet set, perfect for personalizing. The lid is the hinged type and is secured with a metal snap-type latch, so it all remains together. The price tag is on the high side but if you’re looking for a box that will last for years to come and that is completely plastic free, high quality and durable, this is the one for you. While the price is a bit more than some alternatives, the value more than justifies it when its quality and all of its many features are considered. - Made of stainless steel and there’s no worry about BPA. - Dishwasher safe, eco-friendly and should last indefinitely. - Compartments which provides variety and versatility. - Cute magnet designs to choose from. - The dippers are great containers to hold sauces, dips, yogurt etc that fit perfectly inside the Planetbox. - Whether using the handle or the removable and adjustable shoulder strap, the insulated bag is both sleek and functional. On the outside there's a place for a water bottle and a pocket for a napkin or a snack box. On the inside is a mesh pocket for a PlanetBox cold kit or any ice pack, and a couple little straps that secure utensils or a cute note from home. - It's a little on the heavy side compared to other lunch boxes. **You can see my gallery of lunches packed in PlanetBoxes by clicking HERE. The Trudeau Fuel boxes we discovered were easy for our son to open/close when he started kindergarten. This was a big plus for us as we were concerned about him having difficulties and need assistance in the relatively short time allotted for their lunch.The measurements are 5.6 x 5.6 x 2.2 inches and currently sells for $4 on Amazon. There are no dividers, but we often separate foods with silicone cups or baran sheets. - The one piece construction where the lid is attached and therefore there is no chance for it to become separated and lost. - Made from polypropylene which is both eco-friendly and BPA free. **You can see my gallery of lunches packed in Trudeau Fuel boxes by clicking HERE. The Yumbox Panino has a four compartment removable food tray which you can choose either with illustration or without illustrations. It is truly leak proof and I've sent yogurt, applesauce and dips without any problems.The main section is large enough to fit a sandwich or two cups of pasta, brown rice, salad or more. Two more half cup sections are ready to hold your sides and then there is a one ounce circular shaped section for any topping, dip, or treat. The removable tray is also ideal for meals or snacks at home. The box measures approx. 8.5 x 6.5 x 1.8 inches so it fits nicely in a standard size lunch tote. - It's leakproof! It seals very well to prevent wet foods from leaking onto other foods. - It has an overall size which is convenient for backpacks or lunch totes. - The removable tray is divided into sensible sized sections. - It is dishwasher safe. - All materials are BPA-free and phthalates-free. - Although I have never had the need or desire to microwave our Yumbox, their website claims that the Tritan tray of the newest version (after May 1, 2013), but not the outer shell, is microwavable. - When using a dishwasher, Yumbox recommends using top rack only. 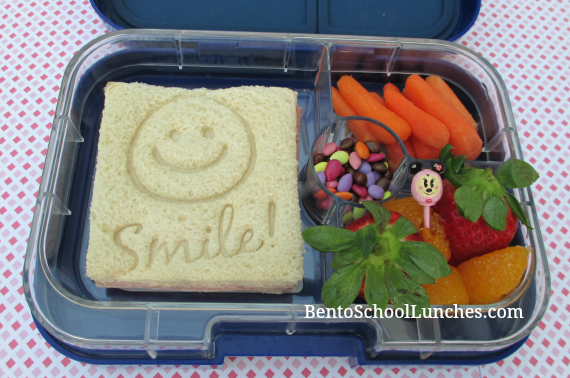 **You can see my gallery of lunches packed in Yumbox Panino by clicking HERE. 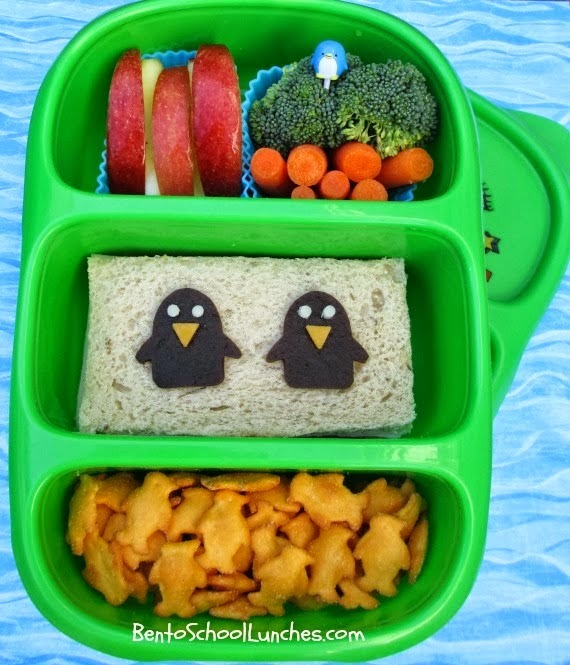 The above are just a few lunchboxes from our collection and this list does not include the many double tiered bento boxes, some of which can be seen HERE, or some really cute ones which can also be found on this blog. 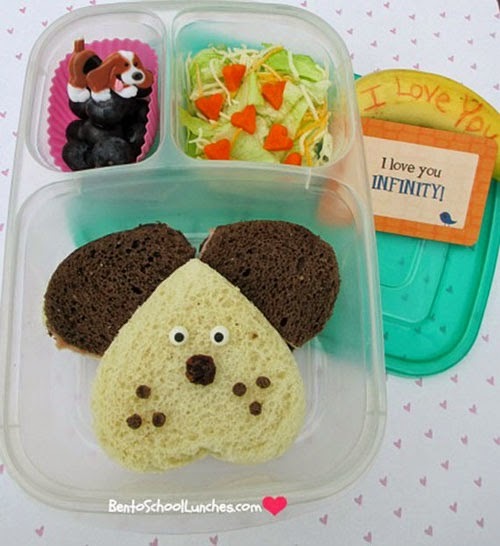 Do you pack lunches for your kids or for yourself, and do you have a favorite lunch box? I also created a resources page which I listed the bento supplies that I love and frequently use, check it out HERE. 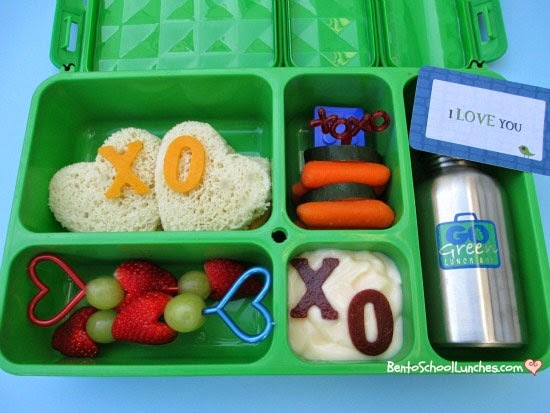 I'll need to get new lunch boxes for my kids this school year and thank you for the list! Thank you Melissa for your kind comment! Awesome write-up, thanks for sharing the comparison list and the pros/cons! Thank you! I was overwhelmed by all the options...this will help! Great wrap up! I didn't realise so many of these boxes are not leak proof, thank you! give me the price for Go Green Lunch Box, and where i can find it..?